What do fried gonads, brain buzz and scary ‘senior moments’ have in common? Here’s a clue: it’s that thing in your hand/pocket/backpack, on your desk or beside your pillow—the cell phone or wireless device that seems to have become a permanent extension of your body, an integral part of every moment of your existence, and a tool that feels essential to life itself. Yet that wonderful gadget, connecting you to so many fascinating facts, people, news items, apps, gossip and image-defining feedback, may be surreptitiously, progressively chipping away at your health, hormones, sexual performance, brain function and longevity. It may feel like your lifeline, but what if it’s actually causing serious problems that you’re blaming on something else? What if you’re taking sleeping pills, painkillers, anti-seizure drugs, anti-inflammatories or other pharmaceuticals to address something that’s being caused by your wireless wonder-phone? It is, after all, emitting a powerful signal that extends for 20–40 feet in all directions around you. Invisible and intangible (to most), yet capable of penetrating cement, metal, plastic, rubber, clothing and human bodies, this radiation is the ultimate silent, stealthy, insidious invader. You’ll never see it coming, and it will be the last thing you’ll ever think of blaming if you’re sick, exhausted, have cancer, become infertile, suffer loss of libido, have ADD/autism, lose your hearing or develop any kind of neurological condition. The cell phone industry and Internet service-providers will tell you that Wi-Fi radiation is safe—and we all so want to believe them so we can continue our addictive love affairs with our phones. But the science says otherwise—definitively, categorically and conclusively—with thousands of studies and medical data now confirming the harmful effects of the radiation that’s saturating our urban environments. I could inundate you with compelling scientific data …but do you really want to know? What’s all that radiation really doing? Do you have trouble sleeping, focusing or concentrating? Do you feel inexplicably tired, have headaches or find you can’t relax? Do you feel wobbly, dizzy, jumpy or dehydrated? Do you have sore joints, osteoporosis, heart issues, palpitations, tics, tremors, allergies or chemical sensitivities? If you experience any of these symptoms (and there are plenty more where they came from), you might want to consider your wireless devices as a possible culprit, rather than automatically blaming work, stress, aging, your partner or other candidates that might feel less vital to your existence. Even thinking that your iphone, ipod or other electronic limpet might be to blame is likely to trigger anxiety, sweating, panic and a terrifying sense of your life flashing before your eyes. I know you’re down there—so far down that you may never get back out. And you’ve got lots of company, so you’ll never be lonely, even if you end up an insomniac who’s seriously ill, socially inept, hyper-active and terminally burnt out. 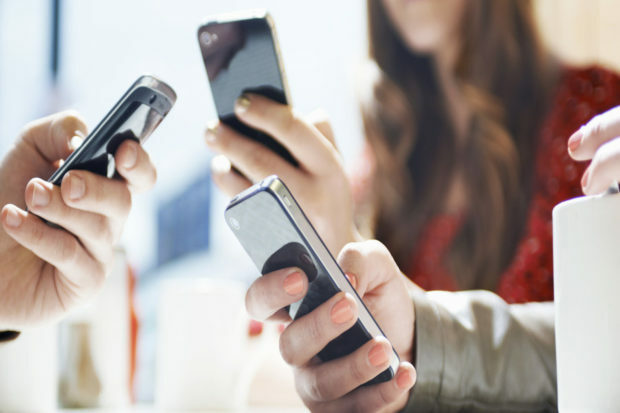 Isn’t it ironic that you can become so wired from using your wireless devices, and that you can develop all kinds of social sickness from being so constantly connected through social media? Things may get a bit over-crowded in the rabbit warren, though, with a worldwide shortage of hospital beds looking more imminent by the day. There’s already a high percentage of people with electromagnetic hypersensitivity (EHS)—now a recognized disability in many countries (including Canada and much of Europe), and one that’s rapidly reaching epidemic proportions. According to Dr Erica Mallery-Blythe, a specialist in EHS and a former A&E doctor in the UK, if current trends continue, 50% of the population in Austria, California, England, Ireland, Germany and Sweden will be feeling the effects of electromagnetic radiation by 2017 (see video below). Canada and the US will be no different—and may even get there sooner. The writing’s on the wall—and I don’t mean the one on Facebook. 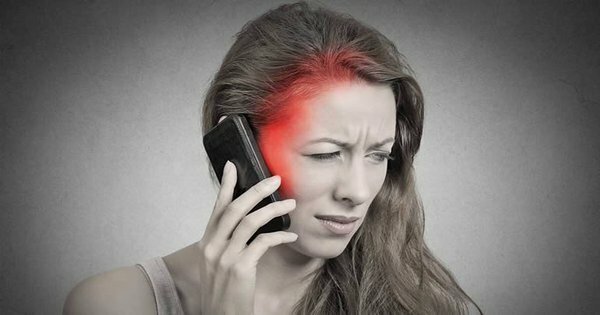 Our bodies are electrical, and even five minutes of exposure to Wi-Fi radiation has been medically proven to affect us, with blood tests revealing all kinds of damage at the cellular level (see video, at minute 4.48), even if we feel no ill effects. And those cells (just in case you’ve forgotten) are in every single inch of you, affecting every bone, muscle, organ, gland, system and fiber of your being. With our environment now containing 10 billion times more radiation than it did in the 1960s, it’s only a matter of time before we all reach our tipping point of intolerance. The radiation is inescapable and rapidly escalating. It’s in every facet of our modern lives—in cars, taxis, trains and buses, on ferries and planes, in every inch of our homes, in our schools, libraries, community centres and parks, on our beaches and in hotels, and in medical clinics, healthcare facilities, anti-cancer centres and even hospitals. I’ve had to chuck my beloved phone, and I’m parting ways with Vancouver, where I’ve happily lived since 1992. But getting a tumour in your ear, losing your hearing in said ear, undergoing brain surgery for removal of said tumour, and ending up super-sensitive to all forms of electromagnetic radiation will tend to do that to a girl. What might it take for you to get the message, bearing in mind that it probably won’t be found at your fingertips? Don’t rely on cell phone companies or Internet service providers to keep you informed of the risks to your health—the ones they already know about but will never share with you on social media or anywhere else. With your support, they’ll continue to promote lies and misinformation about their wondrous, life-enhancing Wi-Fi, happily colluding with you to maintain your denial of the dangers. But the body? That amazing electrical organism, with its own built-in radar, its unerring early-warning devices and its consistently reliable clues (aka symptoms) as to what’s really going on?